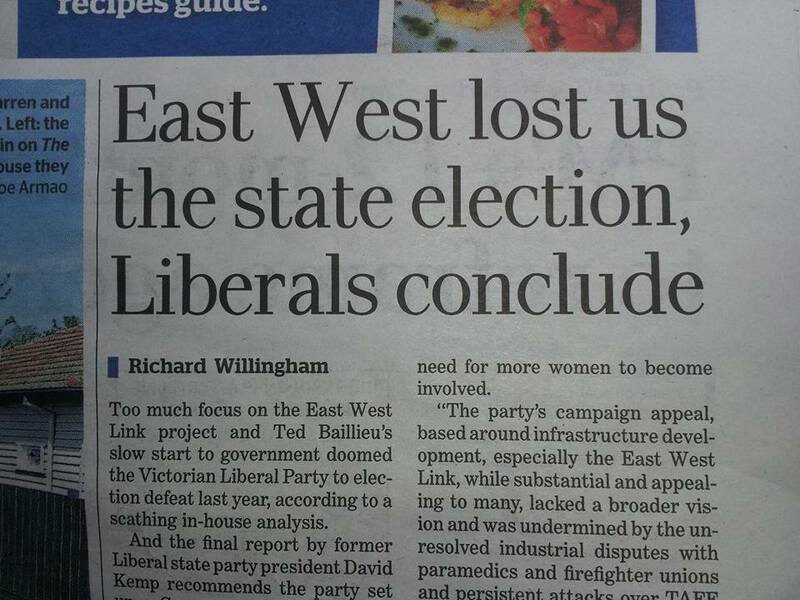 Too much focus on the East West Link project and Ted Baillieu’s slow start to government doomed the Victorian Liberal party to election defeat last year, according to a scathing in-house analysis. And the final report by former Liberal state party president David Kemp recommends the party set up a Community Campaign Network to better recruit volunteers and spread the party message in key seats. The principal weakness of the campaign was its lack of a broad narrative, with the infrastructure announcements becoming a substitute for an effective story about the achievements and intentions of the government across the state.